Pick a state above to locate a bait shop. Write a review about a Bait Shop. Simply register and review it. You'll have to make sure you are logged in, then locate the bait shop on the site, and you'll see a link when you view the bait shop's profile to review it. If you own a Baitshop, you can add your bait shop for free, simply register and add it. If you own a baitshop that is already listed, you can register, and claim your baitshop to make updates yourself. 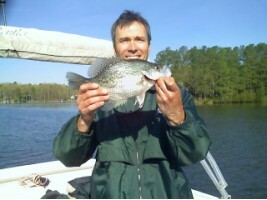 www.BaitShopGuide.com is brought to you in association with www.Crappie.com, the biggest family orientated fishing website in the world.